A visit to your ophthalmologist or optometrist for your eye health checkup examination is absolutely essential and cannot be stressed enough. Yes, your ophthalmologist may be a perfect 20/20, but you really should still get yourself screened or examined by a qualified optometrist or ophthalmologist on a regular basis. Because your eye health is not measured by only how well you can see. And because you may still be at risk of developing silent sight-threatening ocular diseases, such as glaucoma, age-related macular degeneration and diabetic retinopathy. The first line of treatment for glaucoma is the lowering of intraocular pressure with the use of drops. Other methods of lowering the intraocular pressure include laser and filtration surgery. In glaucoma, high intraocular pressure in causes progressive damage to the optic nerve that cannot be reversed, and hence early detection and treatment is vital. Although glaucoma is the second commonest cause of blindness worldwide, it is most certainly preventable if detected and treated early enough. When you visit your optometrist or ophthalmologist for your eye health checkup, he or she will perform tests and examinations to look for any evidence of eye problems or disease, whether early or late. So, how often should you have your eyes tested? Good question. And this is important, so please remember this. Amblyopia is a condition where the the visual pathways between the eye and the brain do not develop properly during the formative ages of up to 7 years. Amblyopia is treated with glasses to correct for any refractive error and patching of the better eye to 'force' the weaker eye to work. It is not just in adults that the eyes should be monitored and examined regularly. In children, the visual pathways between the eyes and the brain develop until the age of 8. This means that any pathology that interrupts this crucial 8 year developmental period may result in amblyopia. Beyond the age of 8, you will have missed the boat and therapy after that will not be effective in treating amblyopia. 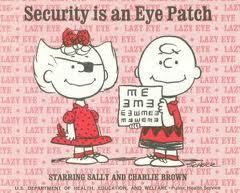 Again, the key here is regular eye health checkup vision screening visits followed by early detection and treatment. The earlier the treatment is started, the greater the chance of a successful outcome. Most developed countries have a pre-school vision screening program for children. Make sure you attend with your child. If you are in any way concerned, then please do not hesitate to seek a second opinion and eye health checkup test from an ophthalmologist to see check if there is indeed an eye problem. Don't leave anything to chance. Your child's vision is far too important for that.